The River Seine, Paris, France River Seine. 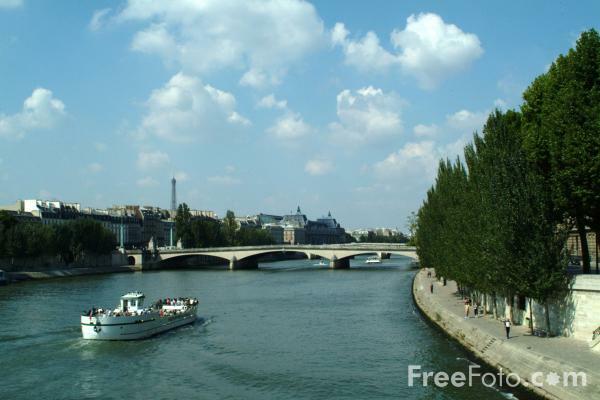 The Seine river splits Paris in two, with the Left Bank Rive Gauche sitting to the south of the river, and the Right Bank Rive Droite to the north. The river forks in the centre, creating two small islands, the Ile de la Cite and the ile Saint-Louis. VIEW: More images from the category The River Seine, Paris, France or taken at the same location or around the same time .